North/South facing house. 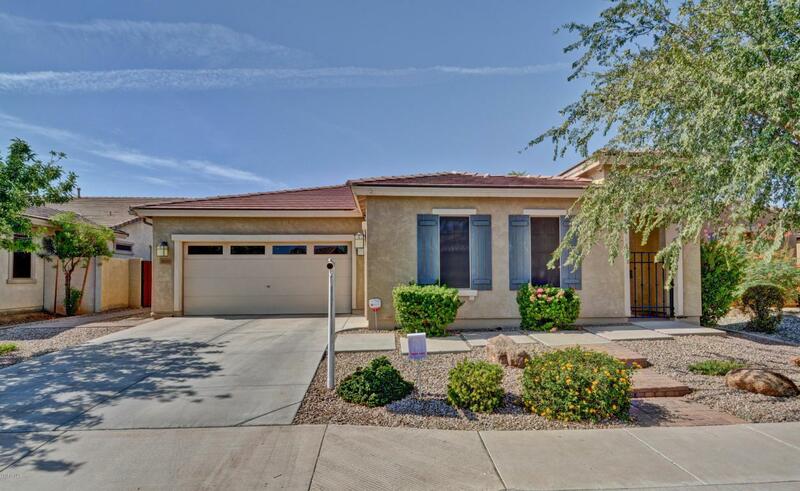 Enter through a private courtyard to a single level Shea home featuring 4 oversized bedrooms, 3 full baths, and a 3 car split garage. Great room with 9 ft ceilings and surround sound. Great room opens to the kitchen with a huge granite top island which creates additional seating. Large lush backyard with a fire pit, outdoor entertainment, and paver walkways. Tile flooring throughout all traffic areas and laminate wood in the bedrooms/closets. 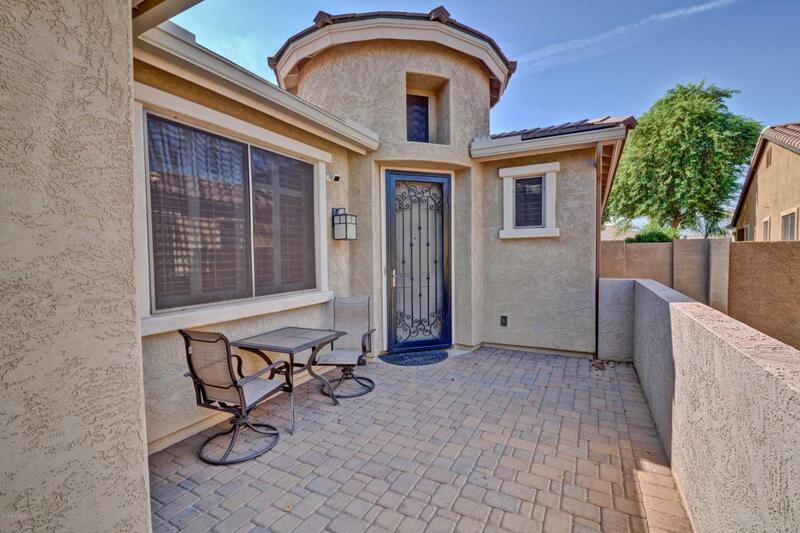 Feet from A+ rated Ryan Elementary and close to community parks/lakes and Citrus Vista Park. 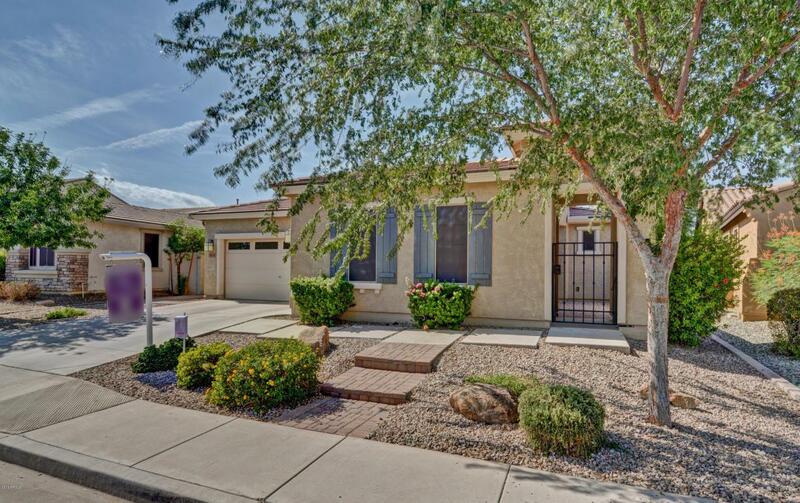 The home features two-tone paint, shutters, stainless steel appliances, sun screens, rain gutters, R/O system and more! Custom security doors front and back. Garage cabinets and work bench. Laundry uppers and lowers cabinets. 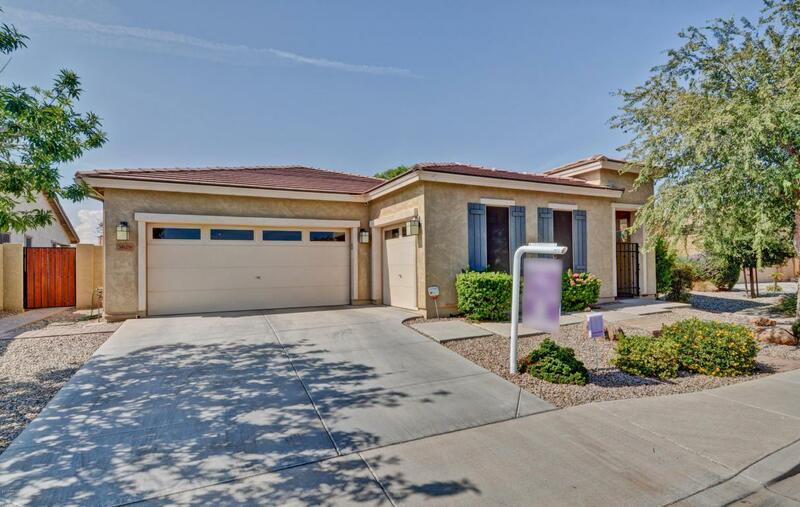 Listing courtesy of Real Pros Realty Az.